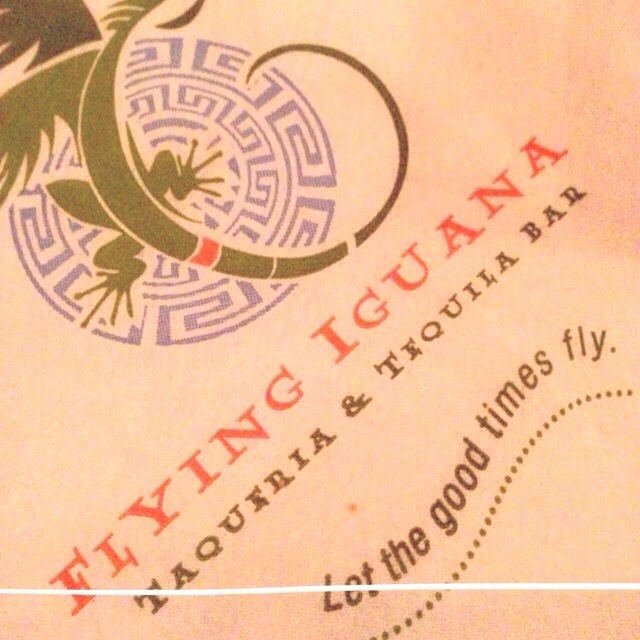 Recently my boyfriend and I ventured to Atlantic beach to try the new Flying Iguana Taqueria and Tequila Bar. Iguana is a Latin American inspired restaurant with hints of Mexico and Peru which usually means there will be gluten-free offerings. The location is in the space of the old Sun Dog Diner. They did extensive renovations to the space; you would never even think it was a diner in a former life. While it was two days after they opened and extremely crowded, we only had to wait about 30 minutes. This was enough time to run into friends and try some of their creative margaritas. Instead of giving us buzzers they took our phone number and would text us when our table was ready. I love this! 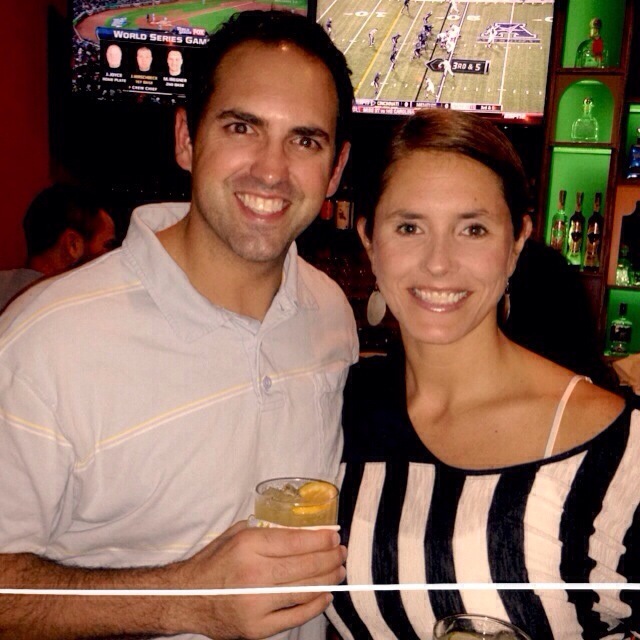 It allows free rein to stay at the bar, go to other bars in the area, walk to the beach, etc. We chose to stay at the bar to try some of their yummy looking drinks. We had The Garden and Blood Orange margaritas. 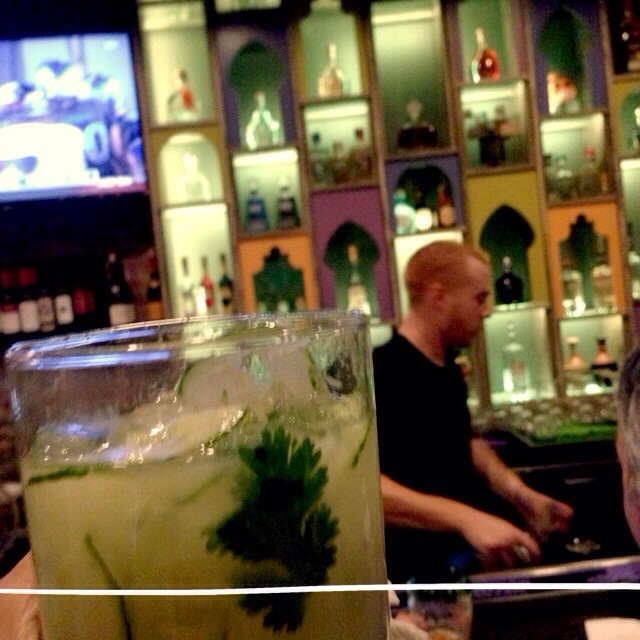 The Garden was the second best drink I have ever had (the best drink I have ever had was at Loa Bar in New Orleans). The bar at Iguana is quite large and takes up the entire side of the restaurant. We were one of many lingering waiting for a table. I love the decor behind the bar. 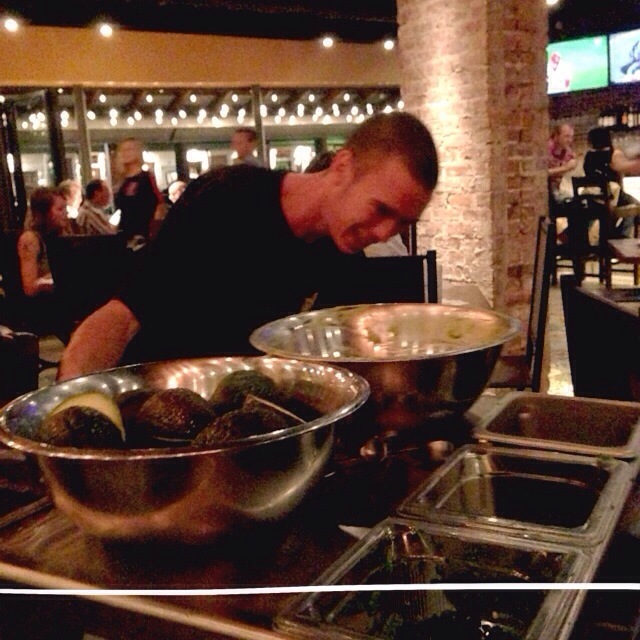 Once we were seated we had to get the table guacamole. According to my boyfriend the chips and salsa was pretty good. They serve two different types of salsa a red and a verde (green salsa). Beware, while the salsa is gluten-free, the chips are not celiac safe; they fry them with other breaded items. This may change, but while we were there the chips were being fried over at Al’s Pizza (they have the same owners). They were really nice and gave me corn tortillas for the guac and salsa. We ordered spicy verde, meat and potato, carnitas and blackened shrimp tacos. They have three different options for tortillas; flour, corn and a half corn half flour. The server let me know that the meat and potato and the carnitas tacos were the best options for me, but you should ask the server when you go. I think their options will change. 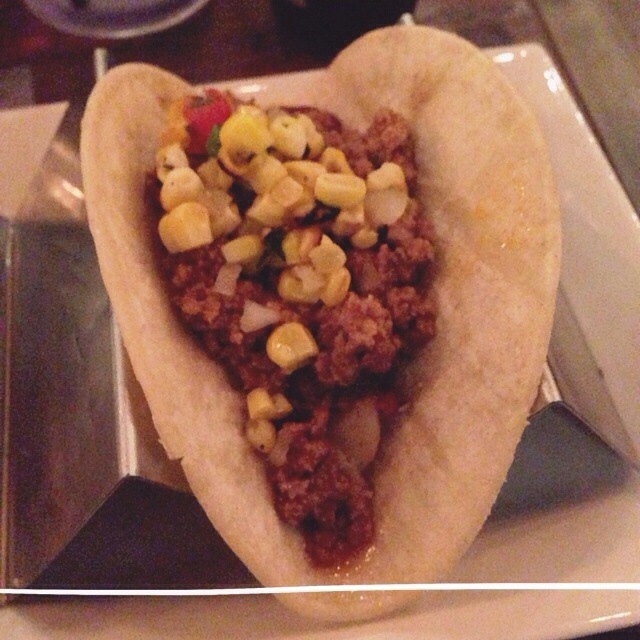 I was very disappointed that my tacos accidentally came out on the half corn and half flour tortillas. Unfortunately, I did not know this until I took a bite. They were very nice and felt really bad and made me another meal. Unfortunately for those of us with Celiac that little bite is quite damaging. My advice- the corn tortillas are smaller, the half corn/half flour are big like flour tortillas. I enjoyed the meat and potatoes and carnitas once they were safe to eat. My wish is that they add a fish taco that isn’t fried. I think they still have to work through a few kinks. We were there the first week so I am sure things have changed since then. I will definitely be back even if it is just for drinks. We did not have dessert but they have Coconut milk flan that I am definitely going to try next time. The atmosphere is very festive and vibrant (loud at times). There are a lot of outside tables and it has an open flow. I loved that it was casual, open air, fun and in a great location. I look forward to going back but will definitely spend a little more time chatting with my server, and possibly the manager before placing my next order.